This beautifully updated 3 bedroom Tennis Club villa boasts a screened porch overlooking a lagoon and easy beach access. This first floor Kiawah Island vacation rental, located at 4791 Tennis Club Villa, is adjacent to the best beach access point in all of Tennis Club and is a short 5 minute walk to the beach. The living room features a wall of sliding glass doors that open directly to the screened porch. Comfortable sofa, loveseat, and chair, flat screen TV, DVD/VHS player, and games make the living room a welcoming place to gather and entertain with family and friends. The renovated kitchen is open to the living room and dining area and offers seating for two at the bar. The kitchen features beautiful granite countertops and stainless steel appliances and is fully equipped for preparing meals during your stay. The dining area offers lagoon views and seating for six and has convenient access to the screened porch. The screened porch features a high top table for 2 and a reclining chair. The master suite has lagoon views and features a king bed, flat screen TV, and updated bathroom with double sinks and tile shower. Two additional bedrooms feature two full beds each, allowing everyone in your party to have their own bed. One bedroom offers two full beds, a flat screen TV, and a private bathroom with shower/tub combination. The second bedroom features two full beds, a flat screen TV, and bay window with sitting area and has private entry to the updated hall bathroom with tile shower. The villa is furnished with washer, dryer, and high speed wireless internet. Effective January 1, 2019, guest reservations of 3 to 21 nights come with a valuable credit to use towards beach gear rentals during your stay! The credit amount for this property is $250. You may use your credit for bicycles, beach chairs and umbrellas, beach carts, and more – the choice is yours! 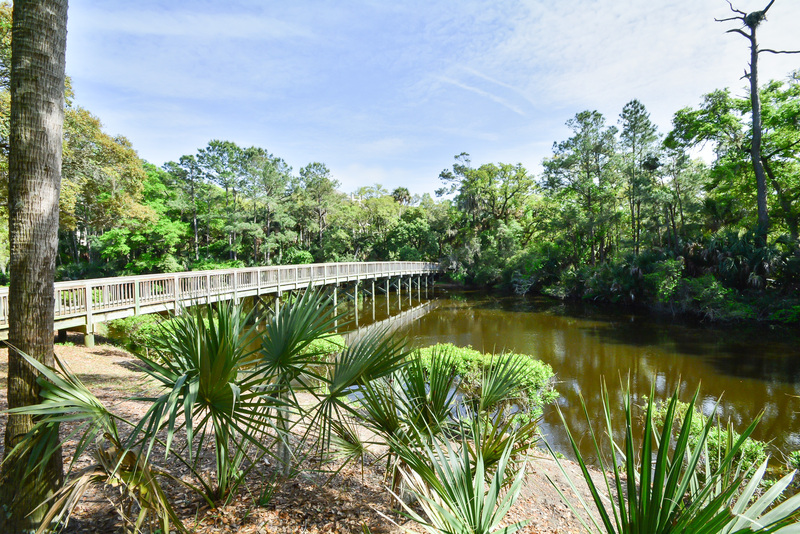 During your stay on Kiawah Island, be sure to enjoy biking on the 30 miles of flat bike trails, golf on one of five world class golf courses, playing tennis, crabbing, fishing, swimming, boating, kids’ camp and nature programs at Night Heron Park. Kiawah Island is about 40 minutes from historic Charleston where you can enjoy incredible shopping, galleries, antique stores, museums, South Carolina aquarium, IMAX Theater, horse drawn carriage rides, and sumptuous dining at many of the fine dining establishments in the city. Rates may change prior to booking and do not include fees and taxes. A $45 non-refundable damage fee is added on all stays. Stays of 3 nights or less will be charged an additional fee for housekeeping. RESERVATION PROCESS: Your reservation is not confirmed until you return the Akers Ellis Rental Agreement. This document will be sent to you via email within a few hours of making your reservation. You need to review and electronically fill out, sign, and submit the agreement within 24 hours. Once returned, Akers Ellis will collect payment and send you a reservation confirmation via email. I requested a steam mop and a vacuum cleaner prior to arrival. A brand new steam mop was there. A frying pan was scratched up badly. I requested a replacement. A brand new frying pan showed up couple days later. The property manager did go above and beyond to make our stay pleasant. We loved it! We plan on coming back in the Spring. First time racer at Kiawah Island and accidentally happened on this little gem of a house. Beautiful home, great communication with management team, easy walking distance to the start line, wonderful access to beach and market. We've already reserved it again for next year! We have stayed at 3 different Tennis Club Lane Villas, tenting through Akers Ellis. This one is our favorite. The location is great and it is decorated nicely. Our only complaints are that it could use some additional comfortable chairs on the porch and more dishes, glasses, eating utensils so you don’t have to run the dish washer so often. Hi Anne, Thank you for your suggestions! We would be happy to talk with the owners and get those items addressed. We are pleased you had another great stay on Kiawah! Great place to stay and an ideal location to the beach and other island activities. All was great. very clean and well stocked. We need 3 beds and baths. It was perfect. The owner and Akers Ellis were so helpful with our time line. The Villa is in a perfect location for accessing the beach. Its beautiful on the inside; clean and updated nicely. Hope to get this one again next year! You get a 5 from us. The place was perfect! Loved every minute of staying there. Thanks so much and we will be back! I would definitely rate it as a 5. The location was great, the villa was clean and welcoming, and the entire stay was just fantastic. We had a very enjoyable stay! The villa was nicely decorated with comfortable beds. It was a pleasant walk to the beach from our villa and the weather was just beautiful. My husband had an issue with the toilet the first day we were there, but maintenance came right over and fixed the problem immediately. We couldn't ask for more. Thank you for making our get away weekend so pleasant. Great time in relaxing environment! Condo was beautiful! Very clean, great location, 3 bedrooms and 3 baths gave everyone privacy to relax as well! The villa was very clean and very comfortable. There were 7 of us staying and everyone had a place to sleep. The location is great. Management company was very informative and easy to deal with. The upstairs neighbors were loud and stomped around but no one could have anticipated that. Would definitely rent again. Wonderful villa. We'll try to reserve it again when we come back. Rode our bikes to the beach daily as it would be too long a walk for a 20 month old. It is very comfortable with beautiful lagoon views. Only criticism is it could use some large glasses. Priorities were right--they furnished champagne glasses! This was a wonderful place for our family stay: grandparents, son and wife, and two grandchildren. Our grandson is on the autism spectrum and non-verbal. Consequently, it takes him a long time to acclimate to a new environment. However, by Saturday morning as we prepared to leave, he repeatedly signaled, "STAY". So, I consider that a high recommendation. It was an ideal place for our family. Thank you for the opportunity to stay there. We enjoyed this villa very much, the location, the view, the wildlife and convenience to beach. The only thing I would say negative would be the Porch needed a bit more cleaning. Also toward end of week upstairs neighbors were loud but all in all I would rent again. Hi Diana, We appreciate your feedback as we are always looking for ways to better our properties. We are so happy you enjoyed your stay. Please let us know when you are ready to plan your next Kiawah Island vacation. We would love to host your stay again! The condo was fabulous. We thoroughly enjoyed our visit. It was a great place to stay. Would use it again. The screened in porch over looking the river was awesome. It was nice to watch the wildlife so close up, even our alligator that came by daily! The rental does need a few repairs but all in all nice place. It is a condo unit with attached neighbors, we did think we were getting a single family villa. Hi Carol, Thank you for your feedback. We are thrilled you enjoyed your stay. We would love to hear your opinion about the repairs that were needed as we are always looking for ways to better our rentals. Please contact our rental department when you have a moment. Also, on Kiawah, all the villas are going to have attached neighbors. For your next stay, we recommend staying at a cottage or a home if you are wanting a standalone property! We had a wonderful time and everything worked out very well. The unit was clean, spacious and in very good order. All the amenities that had been listed were working, the parking pass was sent to us ahead of time (saving time when we arrived) and the location was great. The updates in the unit were also very nice (updated kitchens, bathrooms, etc). I also want to add that the company was wonderful to work with. Informative, very helpful and always prompt with their responses. They ensured that everything worked out smoothly for our trip! We will definitely reach out to them again next time we plan a trip to Kiawah! Thanks for everything! It was wonderful and close to the race! Our condo was wonderful! We enjoyed it very much and loved how close it was to the start of the race. Our experience with Akers Ellis was superb. The attention to detail and the organization is amazing...from the initial response to my inquiry from VRBO to the gate pass and directional info...everything was made very easy. Overall, the unit was quite comfortable and nicely decorated and furnished. We appreciated that there were plenty of towels and nice soap, shampoo, etc. Location, location, location. This was amazing. We enjoyed the wildlife the location offered. Best of all was our newly redecorated osprey nest, the beauty of their harmony and team work. They became almost an obsession, we loved watching them.The unit was extremely well appointed and the decor lovely. If we had one criticism, it would be the mattresses, especially in the guest rooms. We also dealt very often with Dana, in her quiet demeanor she is in the "ball". Every time we call and visited Dana, matters were handled IMMEDIATELY. Thank you to your entire team for making our first stay with Akers Ellis so special. You have us again next year. We would rate our experience a 5. We had a wonderful week. We really liked our place and would definitely stay there again. Thank you! We love Kiawah and have coming there since the early 80's. The last few years we have rented from Akers Ellis and have always found their service exceptional.